Chemgold offers a complete one stop for CAD / CAM - from designing, printing, casting, moulds, finishing and setting. CAD jewellery design increases in demand every year, as it provides endless opportunities for you and your customers. From a unique engagement ring to a symbolic pendant, no design is too complex. The difficulty or intricacies in your designs are eradicated because with CAD the possibilities are endless. 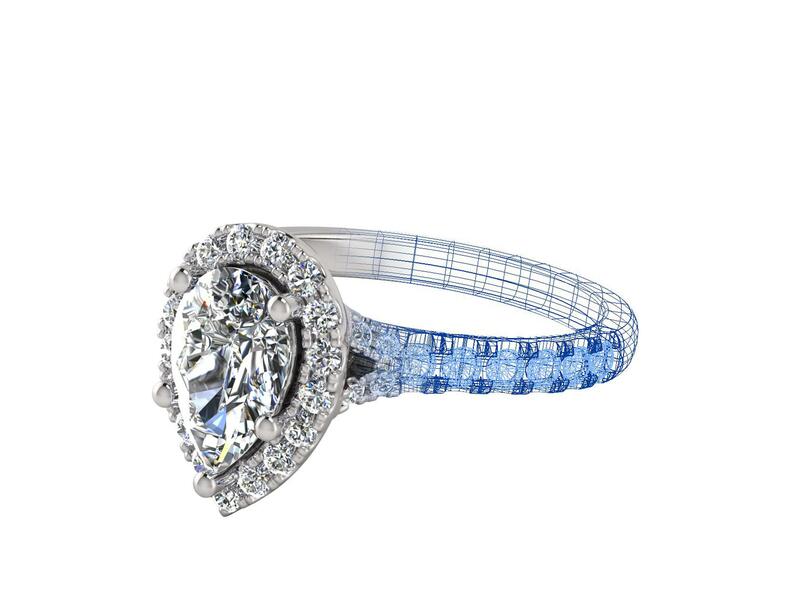 We have a CAD studio with highly experienced designers who are all qualified in jewellery and can draw your custom made designs from a sketch, photo or idea. Once your design has been drawn we can render the image very accurately to show your customers what the finished product will look like, allowing for any changes to the design prior to casting. By utilizing this technology you can take on infinite jobs at any time. We design wax models that are made to meet precise quality standards with ultra fine attention to detail and intricate features. We guarantee our quality and services will live up to your expectations. Take advantage of this leading edge technology and you will never turn away a sale again. Not only does CAD save you time, but it makes you money!